A proper bike fit is essential to any rider or racer’s success. 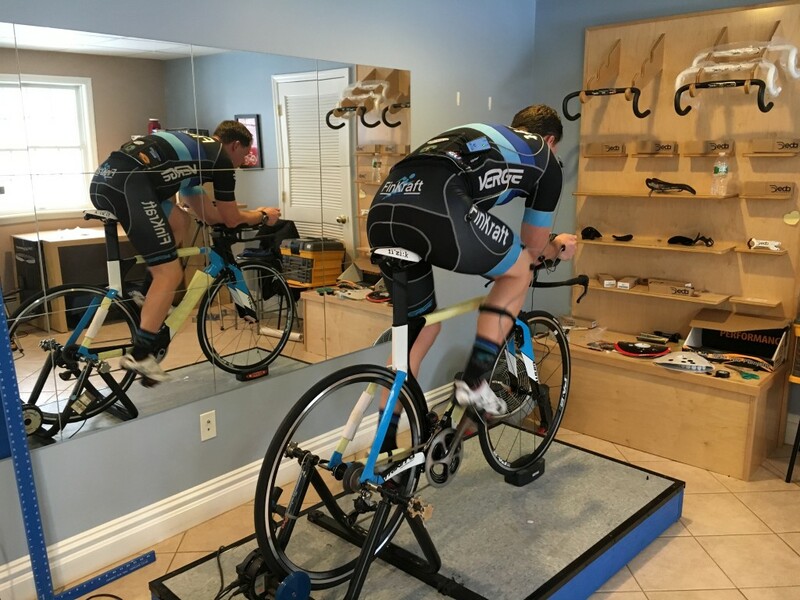 Whether it be injury prevention, recovering from an injury, maximizing power output, or stability, as a certified Retul bike-fitter Roger has the skills needed to help bring harmony between you and your machine. The Retul bike fitting method utilizes a 3D motion capture technology to precisely track and measure how your body interacts in motion on the bike. Following an initial assessment on the individual rider’s issues or concerns, data is collected on the current fit and pedal dynamics through the use of infrared LED sensors. From there, this data is translated to a three-dimensional plane which allows your certified fitter to better understand where to make improvements in your fit and bring out the greatest potential in your riding. When all is done, you and your coach will have a detailed personal profile on your current fit to see where each improvement was made. Outside of Retul there are very few bike fitting protocols which are as measured or accurate. If you choose to partake in this service, we know you will see a difference in the improvement and comfort of your riding. Contact us today to schedule your very own Retul bike fit.